The serviceman arrived on time with a smile and immediately put me at ease. - Scott and Barbara N.
We liked having his picture and bio sent beforehand. We knew exactly when to expect him and were able to track his location from the text. The serviceman gave us a price in writing, without any hidden fees, before starting any work. Why Choose The Happy Outlet? 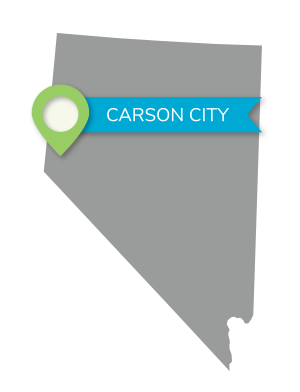 The Happy Outlet is Northern Nevada’s residential electrical resource for homeowners like you. Thousands of your neighbors are already using The Happy Outlet to ensure that their homes – and their communities – lead safe and happy lives. Our goal in providing electrical services in your home is to Inspire Happiness™. If you’re not happy, you’re not paying. We aspire to... Inspire Happiness™! To us, happiness isn’t just a fleeting feeling, and it’s certainly not a privilege. It’s a right. It’s something you should expect before, during, and after the service. Our team of expert electricians has the knowledge, the skills, and above all else, the positive attitude to ensure that we Inspire Happiness™. "We've been using the Happy Outlet for over a year now and have been nothing but pleased with the service and quality of work. We highly recommend not only the company, but Jack.”"
© 2019 All Rights Reserved. The Happy Outlet, Happy Family Safety Plan, Happy Home Visual Safety Evaluation, and Smile More.Worry Less. are trademarks of The Happy Outlet, LLC NCL# C2-59116A Limit: $100,000. The Happy Outlet, LLC. Marketing for home services by VitalStorm.